Life without ice is possible maybe in Alaska, but not in Texas. Ice Machine Repair and maintenance professionals working for On-Time Appliance Repair are available for same-day or next-day service to assist you with your broken ice Machine. Whether your ice maker is built into a freezer or free standing, our trained technicians can get it back to freezing water before your drink gets warm. 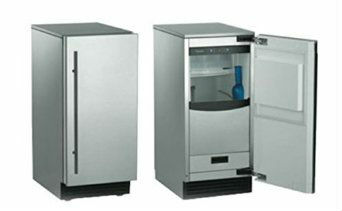 We provide same-day or next day Ice Machine Repair Dallas an Plano Texas and surrounding area. In addition, we always provide a written estimate, which needs to be authorized and approved by you before we perform any work. Our experienced and licensed technicians are professionally trained for most brands of Ice machines. Our Ice machine repair service call is always free with repair and we don’t charge extra for repairs done on the weekends. If you live in one of Dallas or Plano Texas surrounding cities. Bring your Ice Machine to us and save!